Hello Friends! Happy Saturday! The card I am sharing today features an image from one of my favorite illustrators...Marcella Hawley! She worked with a company called Flourishes for years and I admired her artwork and purchased a few stamp sets she designed. Well, the sad day came when Flourishes closed it's doors. I was literally locked out from getting anymore MH stamp sets. BUT...I was browsing around on Instagram and spotted a picture of a card that featured one of the stamps that I purchased from Flourishes. I contacted the person who posted and we messaged back and forth for a bit and she shared that Marcella Hawley was still in business and selling her beautiful artwork on a site called Power Poppy . (Big THANK YOU, to Patti from Patti's Stamping Studio for sharing this information with me.) 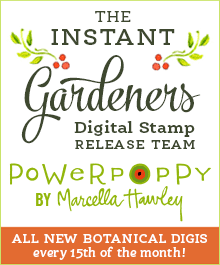 I was thrilled and immediately went to the site and discovered that Marcella was selling stamps and digital images. Because I'm an instant gratification kind of gal, I purchased several digital images and started an extensive wish list for actual stamp sets that I would like. Soooo...that brings me to my card share. I chose to work with the lovely Geraniums digital image. I absolutely LOVE geraniums. When I was growing up, my grandmother had pots and pots of geraniums on her patio, all different colors and types; many were scented with wonderful fragrances like, rose, mint, citrus and fruit. I loved squeezing the leaves and smelling their scents on my fingers for hours. Okay...back to my card. I'm chatty today! To begin, I re-colored the image on my computer and instead of having a black outline, I changed it to light gray. And I printed this beauty onto watercolor paper and let it cure for a day or two. Then, using a kneadable eraser, I went over the image to pick up more of the printer ink. I also heat set it. Because I knew I wanted to watercolor this image, I had to do all that I could to insure that the ink would not run and smear once I added water to it. Watercolor paper has a textured side and a smooth side. Many artists prefer the smooth side, but I like to use the textured side. I like that slightly bumpy look. It creates little valley's that capture the color and add to the overall charm of the card, I think. They impart the same sparkle and beauty that we enjoy with the brushes, but these are more compatible with watercolored images because they don't reactivate the watercolors like the brushes can. I reach for these often, they are fabulous. I chose to use black as a matting on the geraniums to help the image pop. I paired the matted piece with gingham to evoke a country feel. Don't you just love gingham? I stamped the sentiment onto a scrap of watercolor paper, so the two papers would match, then I die cut it and matted it with black. 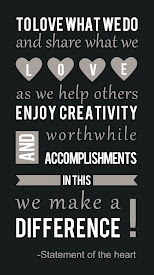 I adhered both the focal and the sentiment with dimensional adhesive. I really wanted to add ribbon, but couldn't figure out where it would go, so I left it off and added the single pearl to the flower center and a few Mossy Green sequins from Pretty Pink Posh. And that finished my card! I had so much fun watercoloring this image and I'm looking forward to playing with more Power Poppy images. Hey! If you get a moment, visit the Power Poppy site. They have just released their Holiday Collection and it's gorgeous. If you want images that are perfect for all sorts of coloring media, make sure you stop by and take a peek. 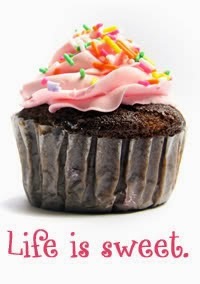 Well, if you've made it to the end of this chatty post, God bless you! Thank you for visiting. Enjoy your weekend. Wow, found this in the SSS gallery. I was a huge flourishes fan. You have water colored this image so beautifully! It's such a beautiful card! Oh Barb! I'm so happy for you to have found Power Poppy and the artist whose images you love. 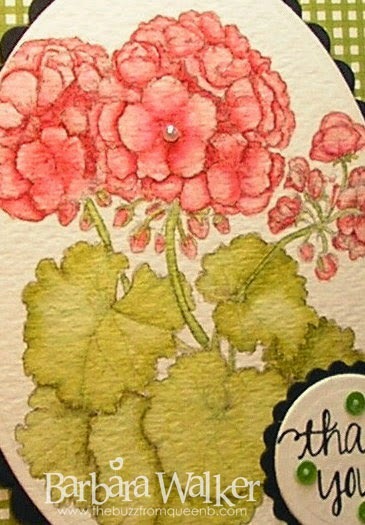 I am completely smitten with your card and the story behind your love of geraniums. Makes my heart happy to have read that. Actually I adored your whole chatty post. Thank you so much for sharing in such detail how you created this wonderful and card. I cannot wait to see more watercolored masterpieces. 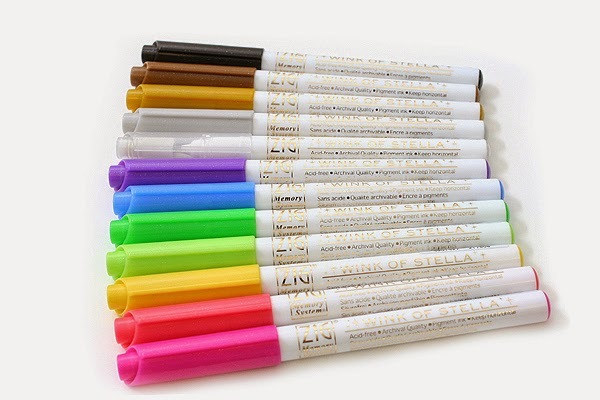 Ohhh and thanks for the tip on the markers, I hadn't seen those before! Big hugs!! Beautiful water coloring. A very soft and delicate feel, great card! Oooo...oooo...oooo!! I ADORE these colors and the texture you achieved with the watercolor paper! What a beauty!!! I love that you used this digi and had yourself some creative fun with lightening the outline to gray. Your water coloring is just gorgeous! I'm so glad you found Marcella's stamps again. She's building up a nice inventory of beautiful images and it's thrilling that she has offered some digis, as well. Thank you so much for participating in our Peep of the Week challenge! Oh my gosh, I had no idea that you could watercolor with digi images! Thank you so much for your great tips! I will be using them for sure in my own stamp room. Your card is gorgeous -- and that's why we picked it over at Power Poppy as this week's PEEP OF THE WEEK! :-) Congrats! Wow! Barb, this is gorgeous, and I LOVE your technique and how wonderfully you've explained it step by step! Stunning card, and I agree with Julie - definitely want to try this technique! Absolutely beautiful colors and great layout! Congratulations on being a Peep of the Week!! Woohoo! Hugs! Congratulations on the well-deserved Peep of the Week. Your card is stunning. And thanks for sharing the tips for watercoloring digi images. Great job with that image - it looks great water coloured. 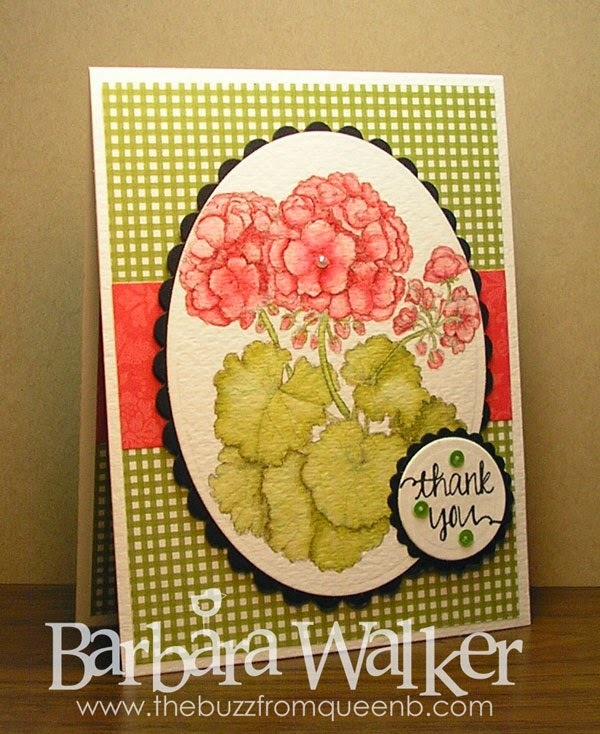 Hi Barbara, I just found your blog via Marcella's blog posts, which included your beautiful watercolor rendition of her "geraniums" digital image! 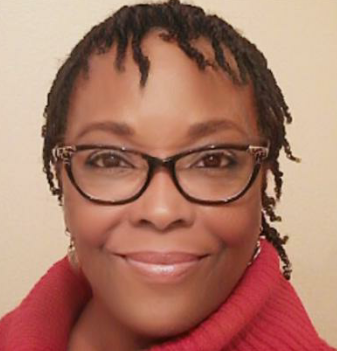 I was lucky enough to stumble upon her blog just last week!!! 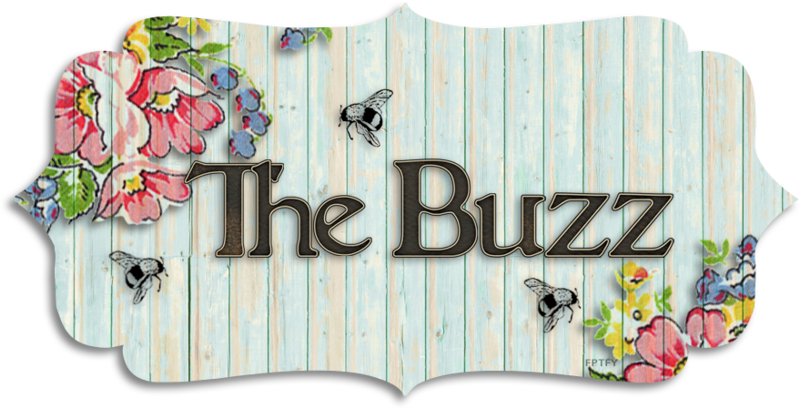 I am thrilled to have found your blog and will now be following your delightful artwork and eloquent posts!!! Thank you for sharing!